Spare bis zu 40% auf Foreo! 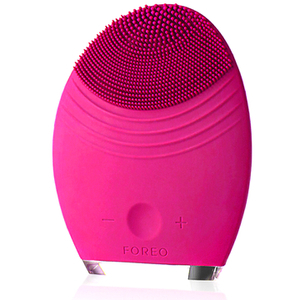 Meet ESPADA, the powerful blue light acne treatment from FOREO. Combining ultra-powerful blue light with T-Sonic pulsations, ESPADA eliminates acne-causing bacteria deep beneath the skin's surface. Bei den Elle Beauty Awards 2014 als Innovation des Jahres ausgezeichnet. Foreo's Luna ist ein Reinigungsgerät mit Anti-Aging Wirkung. Für strahlendere, jünger aussehende Haut. The non-rechargeable LUNA™ play is the world's smallest T-Sonic™ facial cleansing device, which lifts away 99.5% of dirt, oil and make-up residue to refine, brighten and even out the complexion. Eine revolutionäre Zahnbürste für ein strahlend weißes Lächeln. Die ISSA Zahnbürste entfernt Plaque und sorgt für ein gesundes Zahnfleisch. LUNA™ go is the perfect travel-friendly beauty companion for your busy lifestyle! Enjoy a full cleansing and anti-ageing routine whenever you want, without compromise. 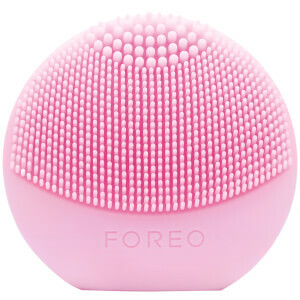 FOREO's cleansers respond perfectly to the skin’s daytime and nighttime needs. T-Sonic™ Activation brings the transformative textures to life and stimulates the active ingredients. Tiefe und dennoch sanfte Reinigung, nach der die Haut gesünder und feiner aussieht. The ISSA hybrid brush head creates whiter and brighter smiles with a combination of PBT polymer and silicone bristles to stay tough on plaque yet gentle on gums. The ISSA mikro is the only baby electronic toothbrush combining silicone bristles with gentle sonic pulsations, making it a safe, effective and fun way to teach your children how to brush their teeth. ISSA mini electric toothbrush merges a fun silicone design with innovative Sonic Pulse Technology to brighten your smile in a child-friendly, compact device. Using soothing T-Sonic™ technology, IRIS™ provides a gentle massage to reduce visible signs of ageing and fatigue, revealing refreshed and younger-looking eyes. LUNA 2 for MEN utilises an enhanced T-Sonic™ facial cleansing and anti-ageing system that preps your skin for the smoothest shave ever. Looking to up your skincare game? 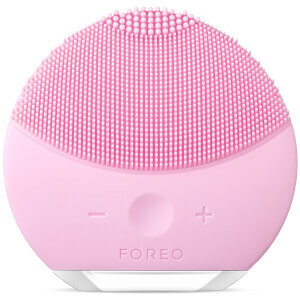 Discover FOREO - their powerful and award-winning devices might be your best bet yet. ISSA toothbrushes go beyond ordinary sonic toothbrushes by caring for your entire mouth with a combination of Sonic Pulse Technology and gentle silicone bristles. The newest addition to the Foreo Family: The Iris. Created to help reduce visible signs of aging and fatigue around the eyes.